The California Department of Fish and Wildlife (CDFW) announces the availability of E-tix, a new electronic reporting system for commercial fishery landings that came online July 1, 2018. With the cooperation of the Pacific States Marine Fisheries Commission (PSMFC), the E-tix application has been adapted to allow electronic reporting of all California landing records. Since 1933, CDFW has relied on paper landing receipts that over the years expanded to 16 different paper forms. CDFW staff have been responsible for manually entering the data and managing it in data systems that have evolved over the decades. Using E-Tix allows fish receivers to record both federal and state fisheries landings through one application. Electronic reporting using E-tix has been required for all federal sablefish landings since 2017 and Individual Fishery Quota trawl fisheries landings since 2011. Between November 2016 and October 2017, CDFW worked with fish businesses and the California Fish and Game Commission to propose and adopt electronic reporting regulations. The regulations allow for voluntary use of the E-tix system to report landings during a one-year transition period, allowing fish receivers to adapt business practices from the old paper system to E-tix. Approximately 74 percent of respondents to a December 2016 survey said one year or less was adequate for this transition. 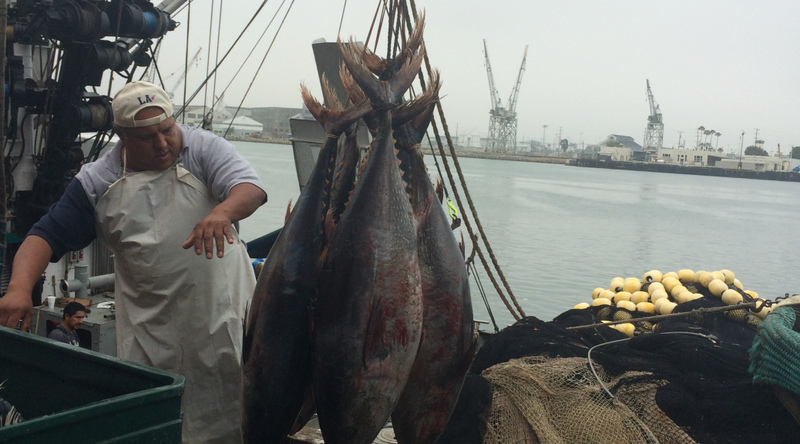 Effective July 1, 2019 all commercial fishery landings must be recorded and submitted electronically using E-Tix (California Code of Regulations Title 14, section 197). In addition, CDFW’s Data and Technology Division is in the process of replacing the outdated Commercial Fisheries Information System to house and manage the landings data with a new, modern Marine Landings Data System. All data submitted using PSMFC’s E-Tix will be automatically transferred to CDFW’s Marine Landings Data System nightly. CDFW encourages all fish receivers and fishermen with a fishermen’s retail license to begin using E-Tix well in advance of the mandatory electronic reporting date of July 1, 2019. The E-Tix Login can be found at etix.psmfc.org/Account/Login.Resources to assist in this transition are available atwww.wildlife.ca.gov/Fishing/Commercial/Landing-Resources.